Yorkshire born designer, Karl Donoghue moved to London in 1991 to study fashion at Ravensbourne College of Design. Following the notable success of his graduation collection, a shearling accessory range was launched under his own label. This was followed by the introduction of women’s ready-to-wear for Winter 2000 with a unique visit on to push the perception of shearling, leather and fur. 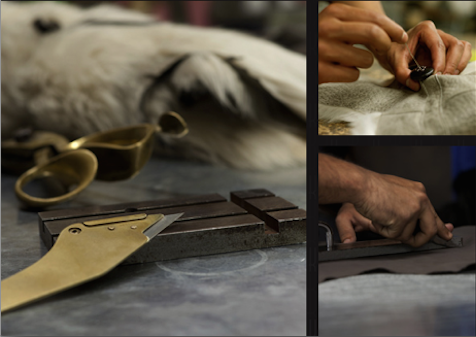 Unlike mass production techniques, the highest quality skins are cut by hand using specialist knives. The garments are then constructed by a single machinist before hand finishing. Many Karl Donoghue factories are based in London, allowing for close monitor of the production process and quality control. Desert Son of Santa Fe carries Karl Donoghue Apparel. Contact our shop for inquiries on our current inventory.